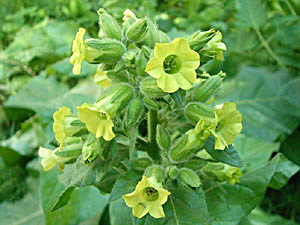 All parts of the plant contain nicotine which is a strong narcotic. The leaves are antispasmodic, cathartic, emetic, narcotic and sedative. They are used externally as a poultice and a wash in the treatment of rheumatic swelling, skin diseases and scorpion stings. The original habitat is obscure. Plants are naturalized in Eastern N. America where they grow in waste places, open areas etc. All parts of the plant contain nicotine, this has been extracted and used as an insecticide. The dried leaves can also be used, they remain effective for 6 months after drying. The leaves have also been dried and then chewed as a stimulant or made into snuff for sniffing, or smoked. 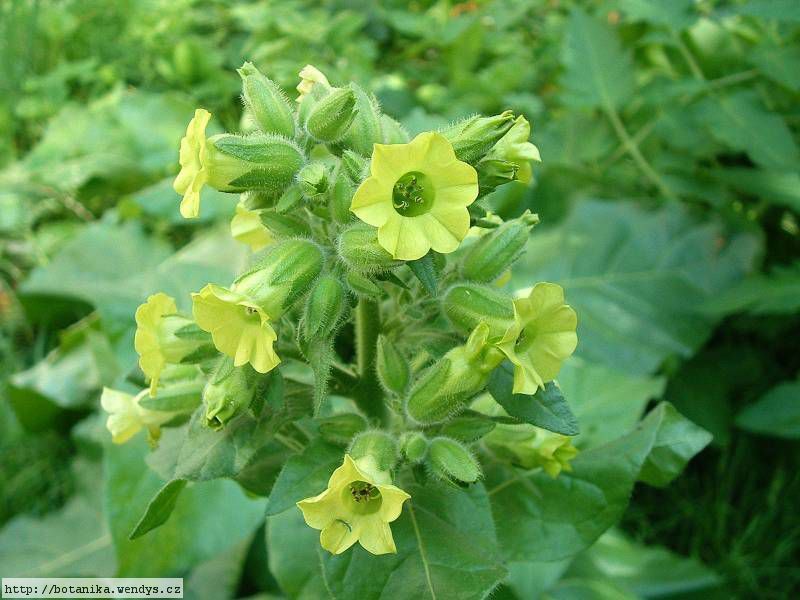 This species is more potent than N. tabacum (the species normally cultivated for cigarettes). Seed - surface sow in a warm greenhouse about 10 weeks before the last expected spring frosts. The seed usually germinates in 10 - 20 days at 20�C. Keep the soil moist and pot up as soon as the plants are big enough to handle, planting them out after the last expected frosts.